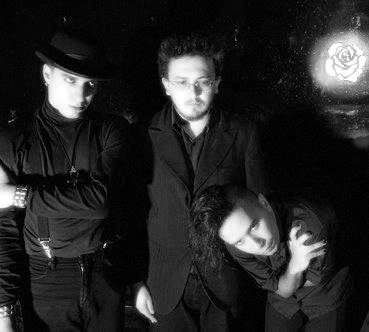 Plastique Noir is a Brazilian gothic/post-punk band born in the end of 2005/beginning of 2006 at Fortaleza-CE-Brazil, whose current members are Airton S (voice/electronics), Márcio Mäzela (electric guitar) and Danyel (bass/guitars). Suddenly it got notoriety at its homecity, where its gigs became habitual in the main local nightclubs and festivals. It has been invited yet in its early months for doing the opening act for Cruxshadows (USA) Brazilian Tour and other performings through several Brazilian states.